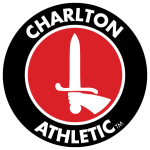 Charlton Athletic Football Club is a professional association football club based in Charlton, Greater London, England. They play in League One, the third tier of English football. The club was founded on 9 June 1905. This was when a number of youth clubs in the south east London area, including East Street Mission and Blundell Mission combined to form Charlton Athletic. The club play at The Valley in Charlton, where they have played since 1919, apart from one year in Catford, during 1923–24, and seven years at Crystal Palace and West Ham United between 1985 and 1992. The club's traditional kit consists of red shirts, white shorts and red socks and their most commonly used nickname is The Addicks. Charlton turned professional in 1920 and first entered the Football League in 1921. Since then they have had four separate periods in the top flight of English football: 1936–1957, 1986–1990, 1998–1999 and 2000–2007. Historically, Charlton's most successful period was the 1930s, when the club's highest league finishes were recorded, including runners-up of the First Division in 1937. After World War II, the club reached the FA Cup Final twice, losing in 1946 and winning in 1947.